Hear from business leaders just like you who managed their used and surplus technology challenges securely and profitably through CNE. Identifying peak liquidity requires a lot more than an in-depth understanding of servers, storage, and networking gear. It requires a comprehensive IT asset management plan that outlines the lifecycle of your depreciating data center equipment, so you know when it is time to decommission and dispose of those assets. Once you have received the most out of your data center equipment, it’s time to work with an ITAD partner to sell those assets and recover the maximum value possible. To do that, your assets must be sold when they have reached their peak liquidity in a specific market. 1. Serve as a trusted resource for IT asset managers. As an IT asset manager, you have a lot on your plate. Given the ever-changing regulatory landscape, concerns about data safety and compliance are paramount. It is essential that you work with an ITAD partner that meets the industry’s most rigorous certification standards. But that is just a baseline requirement. A good ITAD partner will also focus on maximizing value recovery. The best ITAD partners share their expertise and knowledge and serve as a trusted resource. Our goal is to make your job just a little easier while giving you peace of mind. 2. Develop and maintain long-term relationships with buyers. Good relationships are at the core of any dynamic marketplace. Global trade is often transactional, happening anonymously, at the push of a button. But you cannot recover the greatest value for your used data center equipment without a real relationship. That is why CNE has a worldwide network of brick-and-mortar offices and we actively cultivate relationships with savvy buyers who are looking for high-quality, used IT assets. By taking the time to understand the needs of our buyers, we are better able to connect your used data center equipment with those who need it most. 3. Continually track supply and demand for IT assets on the global market. The global market for used IT assets is constantly changing. To stay on top of it, we rely on daily market reports. Our proprietary software program tracks equipment we’ve sold previously, bids from buyers, supply and demand over the last several months, and current listings of assets for sale. We combine these reports with live market information, including currency exchange rates, to recover the greatest value for your used IT assets. The strategies outlined above may not seem particularly bold, but in an industry plagued by brokers who overpromise and underdeliver, fearmongers who exploit valid concerns about data security, and unscrupulous vendors looking to make a quick sale, developing, maintaining and valuing relationships is revolutionary. It is also effective. 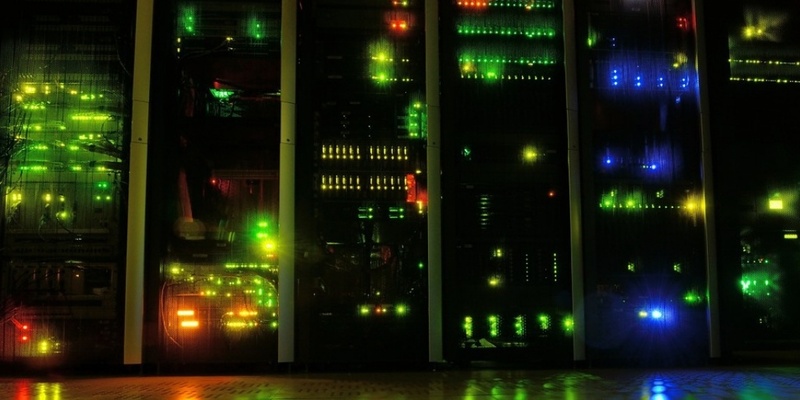 These strategies ensure that we connect the right product to the right market at the right time to recover the greatest value for your used data center equipment. 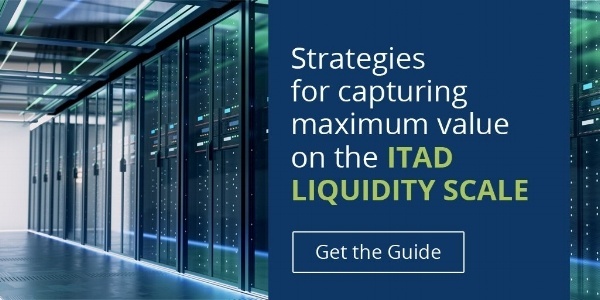 To learn more about the Liquidity Scale and how you can recover the highest value for your used IT assets, download our latest white paper.